Steph Degodny joins The Wexler Gault Group, one of Chicagoland’s premier real estate teams, with an extensive skill-set and diverse community-based experience including home building sales, promotional sales, teaching, school board caucus participation and board membership of the non-proﬁt, Camp for All Kids. 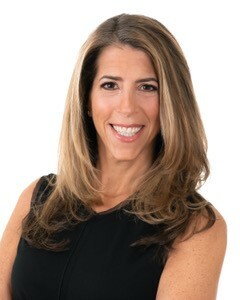 Steph will provide the client centered, responsive service and creativity that has helped The Wexler Gault Group earn a ranking of the top one percent of brokers with sales exceeding $500 million. Steph is a lifelong North Shore and Chicago resident. She was born and raised in Highland Park, lived in Chicago for twelve years, taught in he schools on the North Shore and is raising her three boys in Deerﬁeld. With strong ties to the community, Steph has a deep knowledge of neighborhoods, schools, parks, beaches and other resources of the North Shore and Chicagoland area. Steph is a tireless advocate for her clients and their properties. She is dedicated to listening to what her clients want today and helping them anticipate what they will need in the future because she understands that families and their goals are ever changing. Steph is committed to making sure her clients’ home needs are her number one priority and that the transaction is positive – and fun! Please don’t hesitate to reach out with any questions you may have as Steph looks forward to making your real estate dreams a reality!